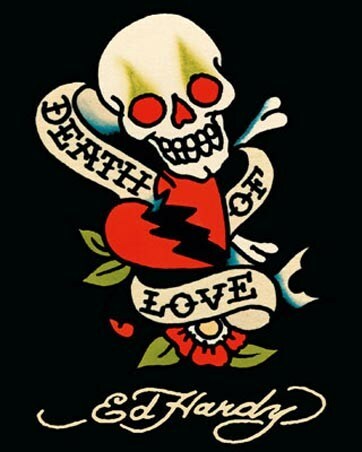 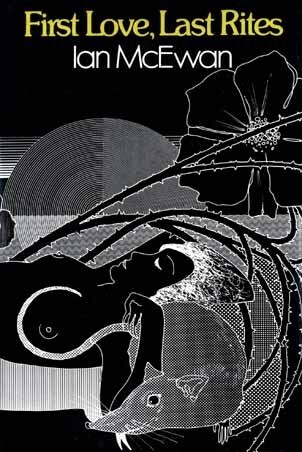 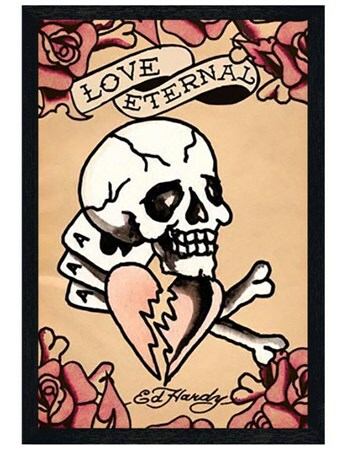 Art Poster: This brilliant poster features yet another stunning design from the ever-popular American tattoo artist Ed Hardy. This image, in warm pink and red tones, features a skull and a broken heart, along with the Ace of Spades and a gorgeous rose border. 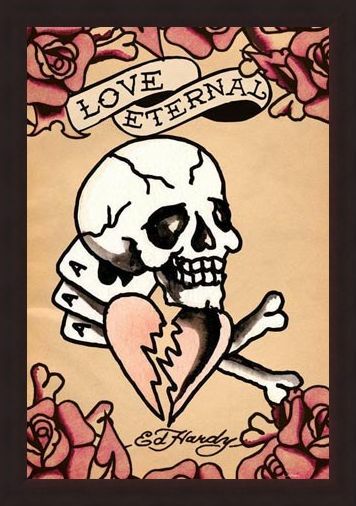 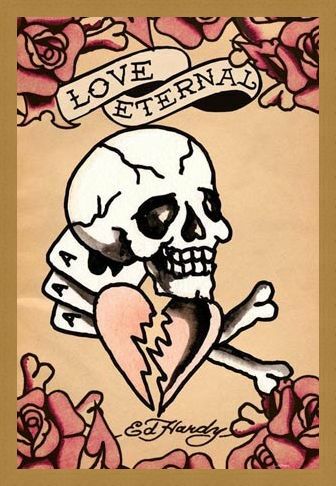 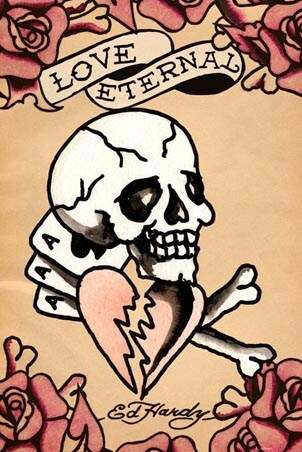 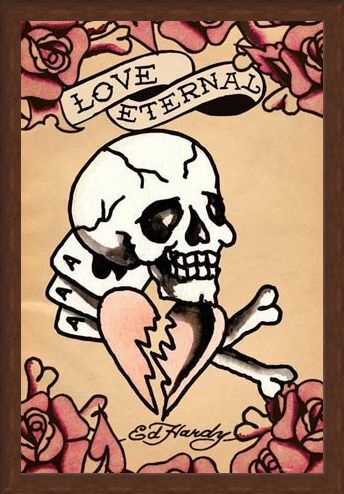 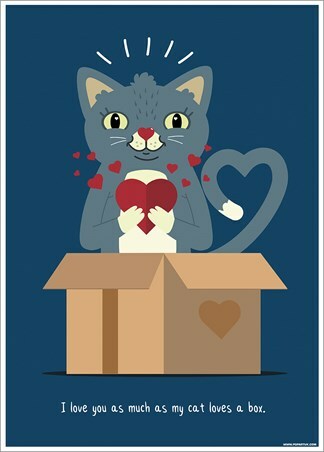 The phrase 'Love Eternal' scrolls above the top of the skull to complete this beautiful, emotive poster. High quality, framed Love Eternal, Ed Hardy poster with a bespoke frame by our custom framing service.